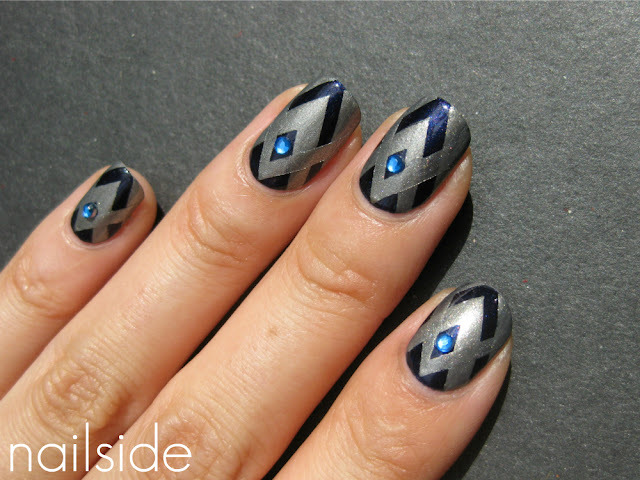 These are awesome and I agree about the gemstones but they added a certain something to this mani. I love it! Beautiful work always girl! Jane you are killing me with the awesomeness here seriously! Awesome! wow, what a difference a rhinestones makes! So pretty! So cool! The rhinestones are just the right touch. Loving this design. gonna copy? course I am. This design looks awesome! I like the rhinestones, I think in small amounts they are fine! I think I love all your mani! You're so creative and talented! I usually don't wear rhinstones but in your mani it looks better with them! Your manicures are amazing! So neatly done - perfect! I loved this one a lot, both the design and the colour combination. Holy cow! This reminds me of something, not sure what, but I know it's AWESOME!! Also I tend to agree with you about rhinestones, but it made the manicure this time! 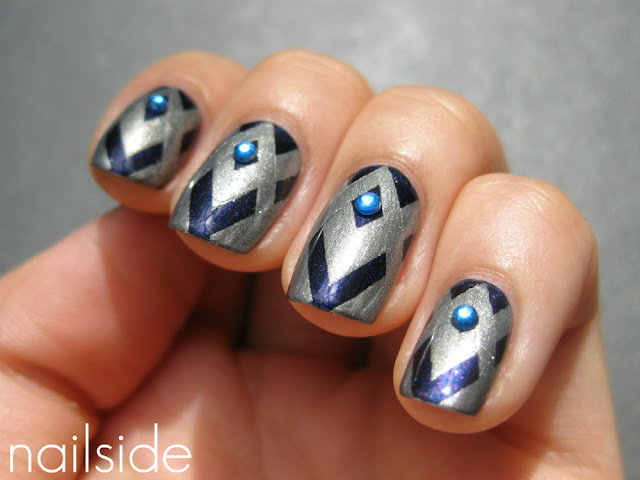 This looks like an out of this world mani... beautiful! Amazing, I can never manage to get taping to work out so cleanly, you're a master! Thanks so, so much, you guys! Your comments are overwhelming, really! For the ones who still have trouble with the taping technique, I'm working on a tips&tricks post for taping. But it takes a lot of time, because I want to include as many tips as I can for you! So bear with me!